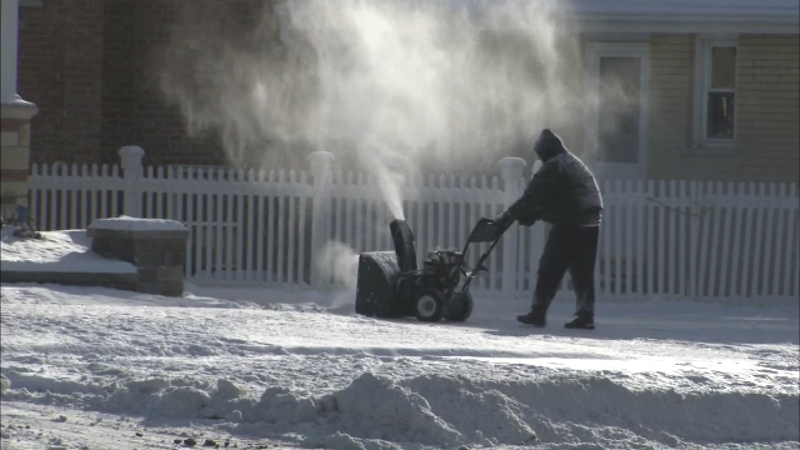 Oak Lawn residents and businesses may not want to let this winter's snow sit too long. OAK LAWN, Ill. (WLS) -- Oak Lawn residents and businesses may not want to let this winter's snow sit too long. The southwest suburb is seeking stiff fines from property owners who did not shovel after the storm that hit February 1. Many Oak Lawn residents kept their sidewalks clear, but apparently many business owners did not. The Chicago Tribune reports 247 businesses have been cited for violating the village's snow remove ordinance. The first hearings are set one week from today at the Oak Lawn Village Hall. A village official says they will be asking for about $500 per ticket. Village Manager Larry Deetjen said that businesses still have a chance to clean the sidewalks before hearing date and they won't be fined.